I'm so glad I stumbled upon your blog, for many reasons! I, too, have two children with Autism. They are triplets, and originally all three were diagnosed in the spectrum. They will be fifteen next month, and are in their freshman year of high school. So much goes through your mind during this phase in your children's lives, no matter what challenges they have. When I read your post today, I completely understood everything you were feeling. Thanks for pouring your heart out to your readers. You totally touched my heart. I love paper crafting as well, and Stampin Up! Your projects are wonderful! Do you ever mail kits? Or tutorials? 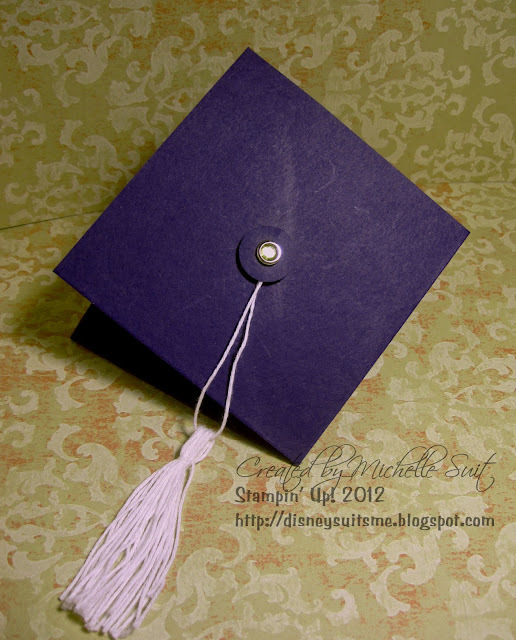 I love the grad cap! Thanks, Marlene B. 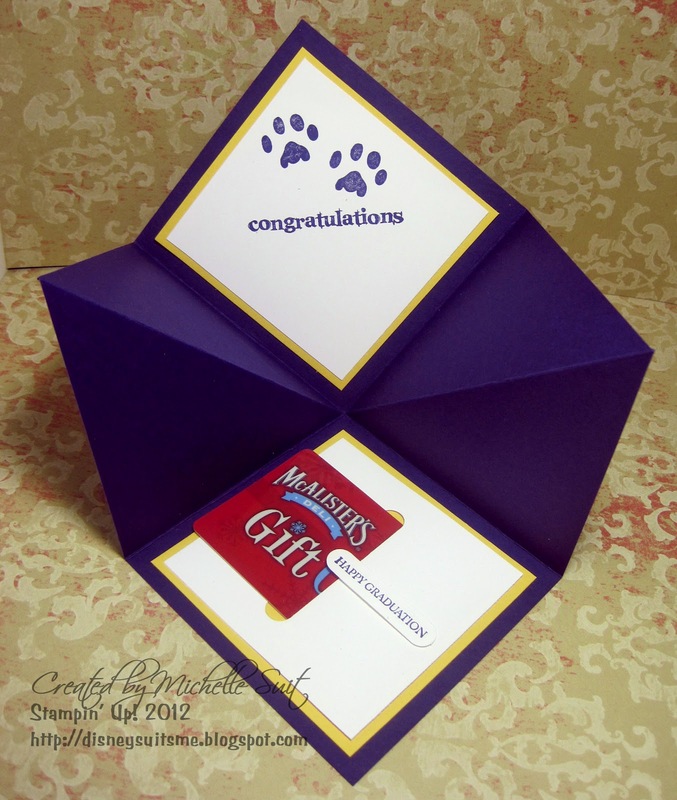 Can you tell me, what is the name of the folding technique that you used to create this card? It looks like a square piece that you started with - what size is the square? 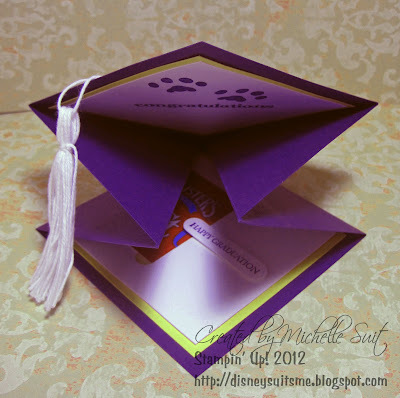 This is such a cute idea for a graduation card, I would like to try my hand at it. Thanks for any info you can pass on.